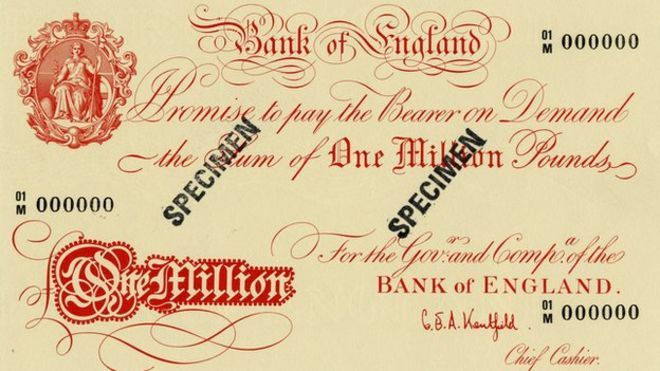 Higher valued Banknotes do exist, such as the £1,000,000 (Giant) and £100,000,000 (Titan), however, usage is restricted"- such as through backing Scottish and Northern Ireland Currencies"
Sterling banknotes are official currency in the United Kingdom, Jersey, Guernsey, the Isle of Man, South Georgia and the South Sandwich Islands, and Tristan da Cunha in St Helena, Ascension and Tristan da Cunha. One pound is equivalent to 100 pence. Three British Overseas Territories also have currencies called pounds which are at par with the pound sterling. Most sterling notes are issued by the Bank of England. These are legal tender in England and Wales, and are always accepted by traders throughout the UK. Bank of England notes are generally accepted in the Overseas Territories which are at parity with sterling. In Gibraltar, there are examples of pairs of automatic cash dispensers placed together, one stocked with BoE notes, the other with local ones. Banknotes issued by Northern Irish banks have the same legal status as Scottish banknotes in that they are promissory notes issued in pounds sterling and may be used for cash transactions anywhere in the United Kingdom. However, they are rarely seen outside Northern Ireland. In England and Wales, although they might be accepted by any shop, they are often not accepted without some explanation. Like Scottish notes, clearing banks and building societies will accept them. Northern Irish sterling banknotes should not be confused with the Irish pound (or Punt), the former currency of the Republic of Ireland, which was replaced by the Euro in 2002. The Bailiwicks of Jersey and Guernsey, and the Isle of Man, are possessions of the Crown but are outside the UK; they are in currency union with the United Kingdom and issue sterling banknotes in local designs (Jersey and Guernsey pounds are freely interchangeable within the Channel Islands). In the United Kingdom, they are intermittently accepted by merchants. However, they are accepted by banks and post offices and the holder can exchange these notes for other sterling banknotes. There are fourteen British Overseas Territories, many of which issue their own currencies which are distinct under ISO 4217: Gibraltar, the Falkland Islands, and St Helena, Ascension and Tristan da Cunha have their own pounds which are at par with Sterling. These notes cannot be used in the UK or outside the territories of origin. Falkland Island Pounds are also valid in South Georgia and the South Sandwich Islands and the British Antarctic Territory. St Helena pounds, however, cannot be used in St Helena, Ascension and Tristan da Cunha's constituent territory of Tristan da Cunha, where the UK Pound Sterling is the official currency. The concept of "legal tender" is a narrow technical concept that refers to the settlement of debt, and it has little practical meaning for many everyday transactions such as buying goods in shops. But it does apply, for example, to the settlement of a restaurant bill, where the food has been eaten prior to demand for payment and so a debt exists. Essentially, any two parties can agree to any item of value as a medium for exchange when making a purchase (in that sense, all money is ultimately an extended form of barter). If a debt exists that is legally enforceable and the debtor party offers to pay with some item that is not "legal tender", the creditor may refuse such payment and declare that the debtor is in default of payment; if the debtor offers payment in legal tender, the creditor is required to accept it or else the creditor is in breach of contract. 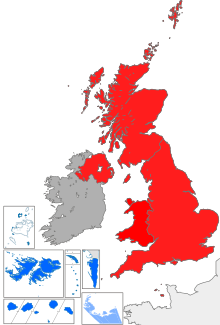 Thus, if in England party A owes party B 1,000 pounds sterling and offers to pay in Northern Irish banknotes, party B may refuse and sue party A for non-payment; if party A provides Bank of England notes, party B must acknowledge the debt as legally paid even if party B would prefer some other form of payment. Until 1988, the Bank of England issued one pound notes, and these notes did have legal tender status in Scotland and Northern Ireland while they existed. The Currency and Bank Notes Act 1954 defined Bank of England notes of less than £5 in value as legal tender in Scotland. Since the English £1 note was removed from circulation in 1988, this leaves a legal curiosity in Scots law whereby there is no paper legal tender in Scotland. The UK Treasury has proposed extending legal tender status to Scottish banknotes. The proposal has been opposed by Scottish nationalists who claim it would reduce the independence of the Scottish banking sector. A Series E (revised) £10 Bank of England note. In the mid 1960s, shortly after the introduction of Series C, the Bank of England proposed to introduce a new banknote series featuring people from British history. In addition to enhancing the appearance of banknotes, the complexity of the new designs was intended to make counterfeiting harder. The task of designing the new Series D notes was given to the Bank's new in-house designer, Harry Eccleston, who not only designed the notes themselves, but also created three individual portraits of the Queen. [lower-roman 2] It was initially envisaged that all of the denominations of notes then in circulation would be issued under Series D. To that end, a Series D 10 shilling note was designed, featuring Sir Walter Raleigh, which would become the 50 pence note upon decimalisation, and intended to be the first of the new series to be issued. However, inflation meant that the lifespan of such a note would be too short - estimates by the Decimal Currency Board suggested that a 10 shilling note would last approximately five months - and it was more economical to have a coin instead: the fifty pence coin was introduced in 1969. Instead, the £20 note was the first Series D note to enter circulation in 1970, with William Shakespeare on the reverse. In the E revision series the £50 note was never issued, £100 notes were last used by the Bank of England in 1945. As of September 2016, the Bank of England banknotes in circulation are from three distinct series. The paper £5 and £10 notes are from the revised Series E (£5 first issued in 2002, £10 first issued in 2000). The two larger denominations are from Series F (£20 first issued in 2007, £50 first issued in 2011). The polymer £5 note is from Series G (first issued in 2016). 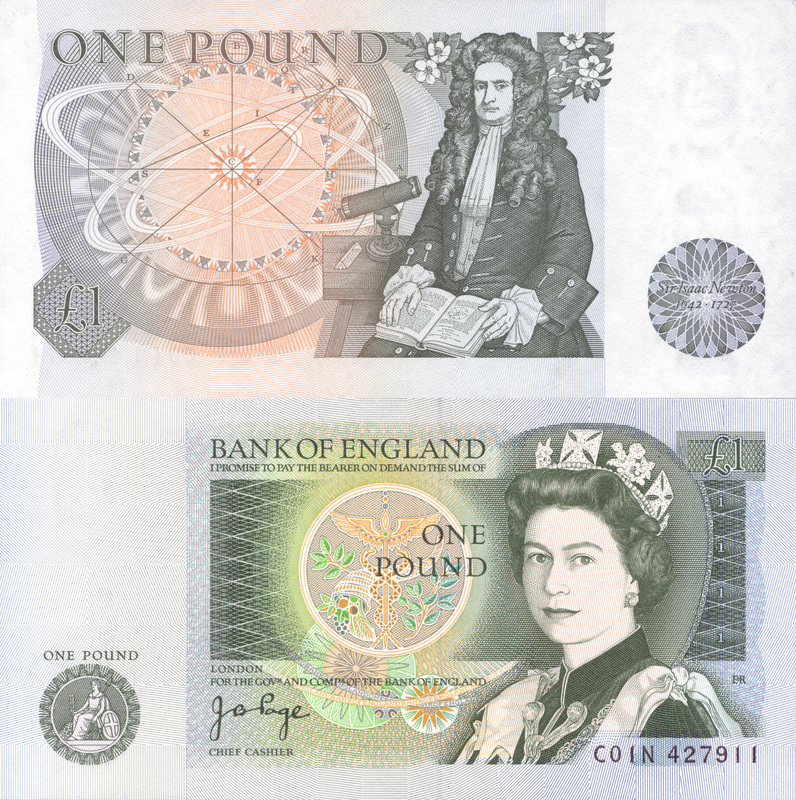 The launch of the new Series F banknotes was announced on 29 October 2006 by the Governor of the Bank of England. The first of these new notes, a £20 note, features the Scottish economist, Adam Smith, the first Scot to appear on an English note (the first non-Englishman, Irish Field Marshal Arthur Wellesley, Duke of Wellington - although as a member of the Anglo-Irish Ascendancy he considered himself English - appeared on the Series D £5 in 1971). Smith also features on £50 notes issued by the Clydesdale Bank. Previous issues of Bank of England £20 notes were known to have suffered from a higher incidence of counterfeiting (276,000 out of 290,000 cases detected in 2007) than any other denomination. The note, which also includes enhanced security features, entered circulation on 13 March 2007. The first note of Series G, the polymer £5 note, entered circulation on 13 September 2016, and will be followed by the two other confirmed notes in Series G: the £10 note in 2017, and the £20 by 2020. In April 2013, the Bank of England announced that its next planned new note issue, intended to be the £5 note in 2016, will feature former British Prime Minister Winston Churchill. The selection of Churchill to replace Elizabeth Fry raised some debate about the representation of women on British banknotes, with critics raising concerns that Bank of England notes would portray exclusively male figures. In July 2013 it was announced that the Series F £10 note design would bear a portrait of 19th century author Jane Austen. In 2015, the Bank announced that they were accepting suggestions from the public for a figure from the visual arts to appear on the £20 note to replace Adam Smith, with the new note to be introduced from 2018–2020. 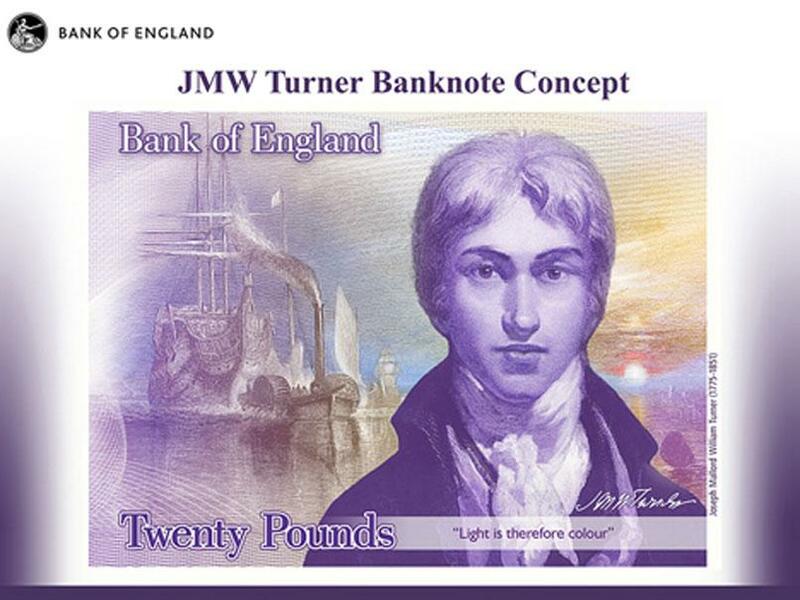 In April 2016, it was announced that J. M. W. Turner had been selected to appear on the new £20 note. In September 2013 the Bank of England opened a period of public consultation about the introduction of polymer, or plastic, banknotes, which would be introduced into circulation from 2016 if the proposals were supported. The polymer notes will be "around 15% smaller" than the notes being replaced. 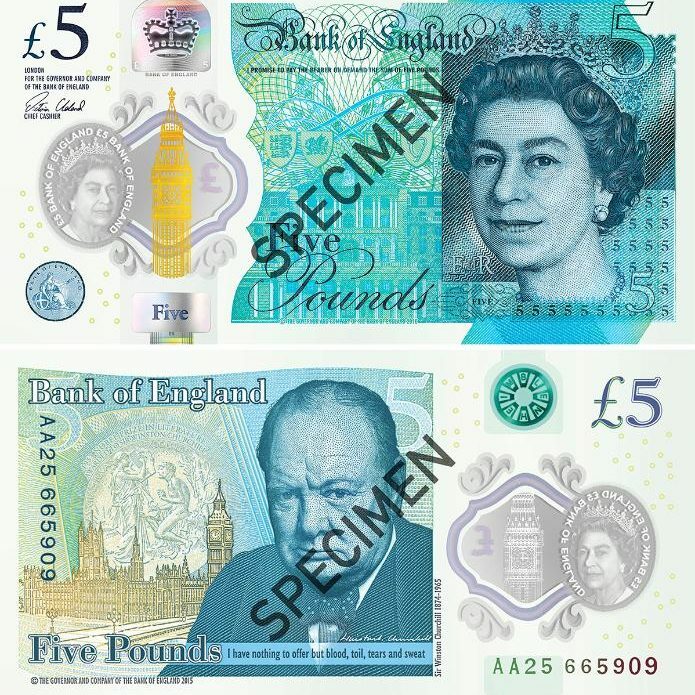 In December 2013, the Bank confirmed that plastic or polymer notes would be brought into circulation in 2016 with the introduction of the £5 note featuring Sir Winston Churchill. The Jane Austen £10 note will go into circulation as a polymer note about a year later. A spokesman for LINK, the company that operates many of the cash machines in the United Kingdom, said machines would need to be altered to fit the smaller £5 banknotes. £5 showing Sir Winston Churchill, the quote "I have nothing to offer but blood, toil, tears and sweat." from a 1940 speech by Churchill, a view of the Palace of Westminster and the Nobel Prize medal. £10 showing Jane Austen, the quote "I declare after all there is no enjoyment like reading!" from Pride and Prejudice, an illustration of Elizabeth Bennet and a view of Godmersham Park in Kent. £20 showing J.M.W. Turner, the quote "Light is therefore colour" from an 1818 lecture by Turner, and a view of The Fighting Temeraire. Higher-value notes are used within the banks – particularly the £1 million and £100 million notes used to maintain parity with Scottish and Northern Irish notes. Banknotes issued by Scottish and Northern Irish banks have to be backed pound for pound by Bank of England notes (other than a small amount representing the currency in circulation in 1845), and special million pound notes are used for this purpose. Their design is based on the old Series A notes. Scottish and Northern Irish banknotes are unusual, firstly because they are issued by retail banks, not central banks, and secondly, as they are technically not legal tender anywhere in the UK – not even in Scotland or Northern Ireland – they are in fact promissory notes. Seven retail banks have the authority of HM Treasury to issue sterling banknotes as currency. Despite this, the notes can be refused at the discretion of recipients in England and Wales, and are often not accepted by banks and exchange bureaus outside of the United Kingdom. This is particularly true in the case of the Royal Bank of Scotland £1 note, which is the only £1 note to remain in circulation within the UK. During the public debate leading up to the 2014 Scottish independence referendum, the question of Scotland's future currency was discussed. While the SNP have advocated a currency union between an independent Scotland and the remnant of the United Kingdom, HM Treasury issued a statement in April 2013 stating that the present relationship with the Bank of England could be changed after independence, with the result that Scottish banks might lose the ability to issue banknotes backed by Bank of England funds. The issuing of retail-bank banknotes in Scotland is subject to the Bank Charter Act 1844, Banknotes (Scotland) Act 1845, the Currency and Bank Notes Act 1928, and the Coinage Act 1971. Pursuant to some of these statutes, the Commissioners for Revenue and Customs publishes an account of "the Amount of Notes authorised by Law to be issued by the several Banks of Issue in Scotland, and the Average Amount of Notes in Circulation, and of Bank of England Notes and Coin held" in the London Gazette. See for example Gazette Issue 58254 published 21 February 2007 at page 2544. The most recent issue of Bank of Scotland notes is the Bridges of Scotland series which was introduced on 17 September 2007. Notes of this series depict famous Scottish bridges on the reverse side. As of late 2007, the Tercentenary Series, introduced at the time of the Bank of Scotland's 300th anniversary in 1995, remains in circulation, but will be withdrawn as their physical condition deteriorates and will be replaced by the new Bridges series. All Bank of Scotland notes bear a portrait of Sir Walter Scott on the front in commemoration of his 1826 Malachi Malagrowther campaign for Scottish banks to retain the right to issue their own notes. The current series of Royal Bank of Scotland notes was originally issued in 1987. On the front of each note is a picture of Lord Ilay (1682–1761), the first governor of the bank, based on a portrait painted in 1744 by the Edinburgh artist Allan Ramsay. The front of the notes also feature an engraving of the bank's former headquarters in St. Andrew Square, Edinburgh. The background graphic on both sides of the notes is a radial star design which is based on the ornate ceiling of the banking hall in the old headquarters building. As of April 2016, the Royal Bank of Scotland is in the process of adopting a new series of banknotes. These will be made of polymer. Two have already been confirmed. The £5 note will show Nan Shepherd on the obverse accompanied by a quote from her book 'The Living Mountain', and the Cairngorms in the background. The reverse will display two mackerel, with an excerpt from the poem ‘The Choice’ by Sorley MacLean. The obverse of the £10 note will show Mary Somerville, with a quote from her work 'The Connection of the Physical Sciences', and Burntisland beach in the background. The reverse will display two otters and an excerpt from the poem ‘Moorings’ by Norman MacCaig. Clydesdale Bank has two series of banknotes in circulation at present. Banknotes of the Famous Scots Series portray notable Scottish historical people along with items and locations associated with them. The new World Heritage Series of banknotes was introduced in autumn 2009. The new notes each depict a different notable Scot on the front and on the reverse bear an illustration of one of Scotland's UNESCO World Heritage Sites. The new series will eventually replace the Famous Scots Series when old notes are gradually removed from circulation. In March 2015, the Clydesdale Bank became the first bank in Great Britain to issue polymer banknotes. The £5 commemorative notes, issued to mark the 125th anniversary of the construction of the Forth Bridge, contain several new security features including a reflective graphic printed over a transparent "window" in the banknote. The Clydesdale Bank also occasionally issues special edition banknotes, such as a 10-pound note celebrating the bank's sponsorship of the Scotland team at the 2006 Commonwealth Games. Like other Northern Irish banks, Bank of Ireland retains its note-issuing rights from before the partition of Ireland; while Bank of Ireland is headquartered in Dublin, it issues sterling notes within the United Kingdom. In spite of its name, Bank of Ireland is not, and never has been, a central bank; it is a retail bank. Its sterling notes should not be confused with banknotes of the former Irish pound which were in use in the Republic of Ireland before the adoption of the euro in 2001. Banknotes issued by Bank of Ireland are of a uniform design, with denominations of £5, £10 £20, £50 and £100 each differentiated by colour. The notes all feature an illustration of a seated woman, Hibernia, and the heraldic shields of the Counties of Northern Ireland. Until April 2008, all Bank of Ireland notes featured an illustration of Queen's University of Belfast on the reverse side. A new series of £5, £10 and £20 notes issued in April 2008 depicts the Old Bushmills Distillery and these new notes will gradually replace the previous series as older notes are withdrawn from circulation. Danske Bank does not issue £5 notes, but a special commemorative £5 note was issued by the Northern Bank to mark the Year 2000; uniquely among sterling notes, it was a polymer banknote, printed on synthetic polymer instead of paper. 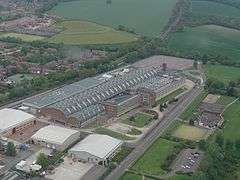 It is the only one of the bank's pre-2004 notes still in circulation; all others were recalled following the £26.5 million pound robbery at its Belfast headquarters in 2004. Scottish coinage, ante-union currency of Scotland. ↑ The first saw the Queen in Garter robe and cap, and was intended for the 10 shilling note; the second had the Garter cap replaced by the George IV State Diadem, and also featured Queen Alexandra's cluster earrings, and was used for the one pound and five pound notes; the third had the Garter robe replaced by Robe of State, and featured the State Diadem, Queen Alexandra's earrings and Queen Victoria's Golden Jubilee necklace, and was for the ten, twenty and fifty pound notes. ↑ "Security by Design" (PDF). Bank of England. 2007. Retrieved 2008-03-27. ↑ Bowlby, Chris. "Britain's £1m and £100m banknotes". BBC News. Retrieved 22 May 2014. ↑ "One Guinea Banknote, Birmingham Bank". Birmingham Museums & Art Gallery. Archived from the original on 18 October 2007. Retrieved 2007-10-08. ↑ Malcolm Lobley FCIB (November 1998). "the Swaledale and Wensleydale Banking Company". P-Wood.com. Archived from the original on 20 February 2012. Retrieved 2007-10-08. ↑ "British Provincial Banknotes". pp. 1–6. Archived from the original on 19 November 2007. Retrieved 2007-10-08. ↑ "Welsh bank notes". Wales History. BBC Cymru/Wales. Retrieved 27 April 2013. ↑ "Bank of Scotland (1695- )". Lloyds Banking Group. Retrieved 2007-10-08. ↑ Kelly, John (2003). "The Irish Pound: From Origins to EMU" (PDF). Central Bank of Ireland Quarterly Bulletin (Spring 2003): 91. Retrieved 27 April 2013. 1 2 3 4 5 6 7 8 "A brief history of banknotes". Bank of England. Retrieved 2007-10-08. ↑ "Bank Charter Act 1844, Section XI, "Restriction against Issue of Bank Notes"". 1 2 3 4 Committee of Scottish Clearing Bankers. "Banknote History – Legal tender". Archived from the original on 16 October 2007. Retrieved 2007-10-08. ↑ "Bank Notes (Scotland) Act 1845". UK Statute Law Database. ↑ "Other British Notes". Bank of England. Archived from the original on 15 October 2007. Retrieved 2007-10-08. ↑ "Bank of Ireland Company History". Funding Universe. Archived from the original on 18 October 2007. Retrieved 2007-10-08. ↑ "The Governor and Company of the Bank of Scotland Business Information, Profile and History". jrank.org. Archived from the original on 12 November 2007. Retrieved 2007-10-14. ↑ Saville, Richard (1996). Bank of Scotland: A History, 1695–1995. Edinburgh: Edinburgh University Press. pp. 20–24. ISBN 0-7486-0757-9. 1 2 3 Bank of England- Frequently Asked Questions. "Are Scottish & Northern Irish notes legal tender?". Archived from the original on 12 October 2007. Retrieved 2007-10-14. 1 2 "Law 'hinders' Scottish bank notes". BBC News. 23 January 2008. Retrieved 2008-10-15. ↑ "7 in 10 Scots have money rejected in England". The Scotsman. 31 January 2014. Retrieved 1 February 2014. ↑ "Our Banknotes". RBS.com. 2011. Retrieved 2011-02-28. ↑ matthew McCreary (30 July 2007). "Store U-turn on Ulster notes after Nolan raises a rumpus". Belfast Telegraph. Retrieved 2008-10-16. ↑ "Scottish money 'needs protection'". BBC News. 27 December 2007. Retrieved 2008-10-15. ↑ Committee of Scottish Clearing Bankers. "Legal Tender". Archived from the original on 20 May 2007. Retrieved 2007-10-14. ↑ Silicon Glen. "Scotland Guide – Currency and legal tender". Archived from the original on 7 October 2007. Retrieved 2007-10-08. ↑ Hamish Macdonell (22 September 2005). "Activists fight 'threat' to Scottish banknotes". The Scotsman. Edinburgh. Retrieved 2011-02-28. ↑ Morris, Richard (February 2004). "Your Story: The Bank of England Printing Works". BBC. Retrieved 2008-06-01. ↑ Dr A.H. Stamp (1 June 2006). "The Man who printed his own Money" (JPEG). Country Quest Magazine. KatesPaperMoney.co.uk. Retrieved 2007-10-08. ↑ Duggleby, Vincent (2011). English Paper Money. Pam West. p. 218. ISBN 9780954345730. 1 2 Homren, Wayne (30 May 2010). "BANKNOTE DESIGNER HARRY ECCLESTON, 1923–2010". The E-Sylum. Numismatic Bibliomania Society. Retrieved 2 March 2015. 1 2 3 4 5 "Withdrawn Banknotes Reference Guide". 1 2 "£5 note design features (Bank of England)". 1 2 "£10 note design features (Bank of England)". 1 2 3 "£20 note design features (Bank of England)". 1 2 "£50 note design features (Bank of England)". ↑ "The New Fiver". Bank of England. 1 September 2016. Archived from the original on 21 August 2016. Retrieved 1 September 2016. 1 2 3 "Getting Your Business Ready". Retrieved 9 March 2016. ↑ "Sir Winston Churchill to feature on new banknote". BBC News. 26 April 2013. 1 2 "New £20 note design and personality unveiled by Bank of England". BBC News. 22 April 2016. 1 2 3 "Britain's £1m and £100m banknotes". BBC News. 26 January 2013. ↑ Symes, Peter (2004). "Portrait 14". The Portraits of Queen Elizabeth II. Retrieved 26 May 2016. ↑ "1969: New 50-pence coin sparks confusion". BBC On This Day. BBC News. Retrieved 26 May 2016. ↑ Callaway, Jonathan. "Historical figures on Bank of England banknotes". Pam West British Notes. Retrieved 23 March 2015. ↑ Counterfeit Bank of England banknotes, Bank of England. Retrieved 16 June 2008. ↑ "New Adam Smith £20 note launched". BBC. 13 March 2007. Archived from the original on 15 March 2007. Retrieved 13 March 2007. ↑ "Steam giants on new £50 banknote". BBC News. 30 May 2009. Retrieved 28 February 2011. ↑ "Current Banknotes". Bank of England. Archived from the original on 23 September 2016. Retrieved 23 September 2016. ↑ "Sir Winston Churchill: the historical figure on the next banknote". Bank of England. 26 April 2013. Retrieved 26 April 2013. ↑ "Winston Churchill to be new face of five pound note". Channel4. 27 April 2012. Retrieved 27 April 2012. 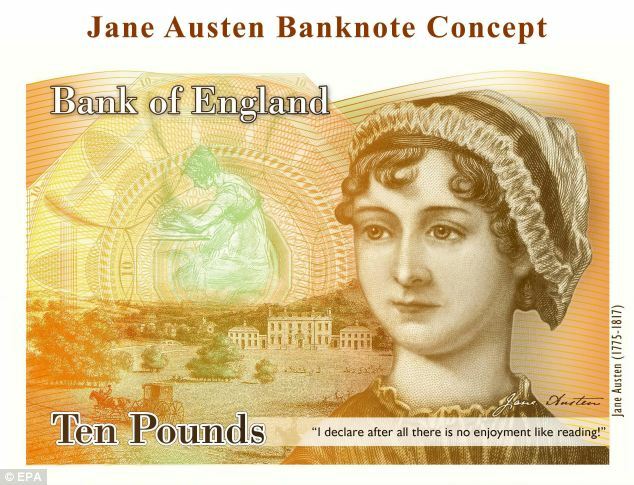 ↑ "Jane Austen to be face of the Bank of England £10 note". BBC News. 24 July 2013. Retrieved 24 July 2013. ↑ "The next £20 note". Bank of England. Archived from the original on 27 August 2015. Retrieved 27 August 2015. ↑ Peachy, Kevin. "Sir Winston Churchill to feature on new banknote". BBC News. Retrieved 22 May 2014. ↑ BBC. "Jane Austen to be face of the Bank of England £10 note". BBC News. Retrieved 22 May 2014. ↑ "The Bank of England's Role in Regulating the Issue of Scottish and Northern Ireland Banknotes". Bank of England. ↑ "Letters of Malachi Malagrowther". The Walter Scott Digital Archive. Edinburgh University Library. Retrieved 27 April 2013. ↑ "Legal Tender Guidelines". Royal Mint. Archived from the original on 17 December 2008. Retrieved 2008-11-08. ↑ "The Bank of England's Role in Regulating the Issuance of Scottish and Northern Ireland Banknotes". Retrieved 27 April 2015. ↑ "Banknote History". Scottish Clearing Banks. Archived from the original on 30 October 2007. Retrieved 2007-10-26. ↑ "Current Banknotes". Scottish Clearing Banks. Archived from the original on 30 October 2007. Retrieved 2007-10-26. ↑ "ECB opposes notes issue". BBC News. 25 February 2000. Retrieved 2008-10-15. ↑ "Banking Bill". Publications.parliament.uk. 7 October 2008. Retrieved 2010-04-09. ↑ "Scottish and Northern Ireland Banknotes – Overview". Bank of England. Retrieved 29 November 2013. ↑ "Salmond voices bank notes fears". BBC News. 4 February 2008. Retrieved 2008-10-15. ↑ "Scotland's own banknotes saved". The Scotsman. 11 June 2008. Retrieved 2008-10-15. ↑ "Scottish independence: Osborne says currency plans 'dive into uncharted waters'". BBC News. 23 April 2013. Retrieved 27 April 2013. ↑ Carrell, Severin (2 April 2013). "Scottish banknotes: the Treasury's symbolic hostage in the independence debate". The Guardian. London. Retrieved 27 April 2013. ↑ "More detail needed on key issue of currency". The Herald. 22 April 2013. Retrieved 27 April 2013. ↑ The London Gazette: no. 58254. p. 2544. 21 February 2007. ↑ McIntosh, Lindsay; MacDonell, Hamish (19 September 2008). "Takeover 'may tip economy of Scotland into turmoil'". The Scotsman. Edinburgh. Archived from the original on 21 September 2008. Retrieved 2008-09-20. ↑ MacLeod, Angus (18 September 2008). "Salmond rallies bank chiefs to rescue Scottish jobs". The Times. London. Retrieved 2008-09-20. ↑ "Archibald Campbell [Mac Cailein Mòr], 3rd Duke of Argyll, 1682 – 1761. Statesman". National Galleries of Scotland – Scottish National Portrait Gallery. 2008. Retrieved 2013-04-27. ↑ "Our Banknotes – The Ilay Series". The Royal Bank of Scotland Group. 2008. Archived from the original on 26 January 2013. Retrieved 2013-04-27. 1 2 "New RBS bank notes to feature Nan Shepherd and Mary Somerville". The Scotsman. 25 April 2016. Retrieved 25 April 2016. ↑ "Current Banknotes : Clydesdale Bank". Committee of Scottish Bankers. Retrieved 27 April 2013. ↑ "Clydesdale launches Homecoming bank notes – Herald Scotland". Theherald.co.uk. 14 January 2009. Archived from the original on 14 February 2009. Retrieved 2010-04-09. ↑ "Clydesdale Bank brings in plastic £5 notes". BBC News. 23 March 2015. Retrieved 23 March 2015. ↑ "Plastic £5 notes released by Clydesdale Bank in first for Scotland". STV. 23 March 2015. Retrieved 23 March 2015. ↑ "Current Banknotes". The Association of Commercial Banknote Issuers. Retrieved 27 April 2013. ↑ "Bank Notes". Bank of Ireland Group. ↑ "Bank of Ireland to feature Old Bushmills Distillery on new Northern Ireland note issue". Bank of Ireland. 11 February 2008. Retrieved 30 October 2008. ↑ "Bank raises glass to famous drink". BBC News. 23 April 2008. Retrieved 30 October 2008. ↑ "First Trust Bank banknotes security features". First Trust Bank. Retrieved 27 April 2013. ↑ "Northern Bank officially rebrands as 'Danske Bank'". BBC News. 15 November 2012. Retrieved 4 May 2013. ↑ Poole, Amanda (11 May 2012). "Northern Bank to be rebranded by owners Danske Bank". Belfast Telegraph. Retrieved 4 May 2013. ↑ "Danske Bank puts new bank-notes into circulation". BBC News. 24 June 2013. Retrieved 27 November 2013. ↑ "Danske Bank Launch New Bank Notes". Belfast City Centre Management. 24 June 2013. Archived from the original on 3 December 2013. Retrieved 29 November 2013. ↑ "New Jersey banknotes begin circulation". BBC. 29 April 2010. Retrieved 2011-02-28. ↑ "On Demand" (PDF). States of Jersey-Treasury and Resources. Retrieved 2011-02-28. ↑ Jersey to issue 100-pound commemorative note in 2012 BanknoteNews.com, Retrieved 2011-08-15. ↑ Government of Gibraltar (June 1934). "Currency Notes Act" (PDF). Archived (PDF) from the original on 29 October 2008. Retrieved 2008-11-05.